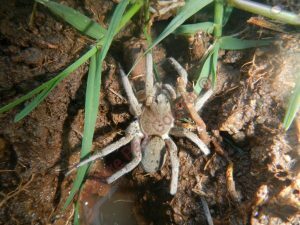 What are Wolf spiders and what do Wolf spiders look like? 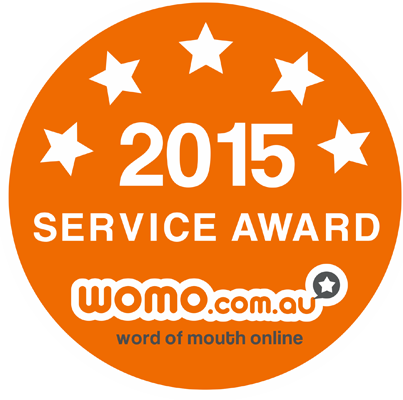 Wolf spiders are a common spider throughout Australia and come from the Lycosidae family. Wolf spiders are a ground dwelling spider and will either go on the hunt for their prey or will wait patiently for their prey to pass by their burrow. So what do Wolf spiders eat? The Wolf spiders diet is crickets, grass hoppers, ants, smaller spiders, small lizards, small birds and mice. Wolf spiders got their name by hunting down their prey like wolves do but that is as far as it goes by being similar to a wolf. Wolf spiders have eight eyes and legs with a robust body. Depending on the species of Wolf spiders colour will vary from dark brown to grey with either orange or black markings on their abdomen. Wolf spiders spend most of their time in solitary and you will generally only see more than one if they are mating. When Wolf spiders mate the male Wolf spider will wave its pedipalps in order to gain the female Wolf spider’s attention. 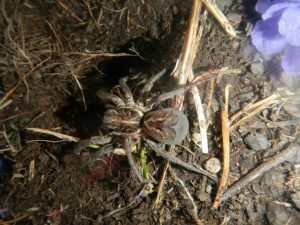 After a Wolf spider mates the female Wolf spider will carry her young until they are old enough to fend for themselves. How do you treat Wolf spiders? Redline Pest Control will comb over your front and back lawn spot treating and holes that the Wolf spider has made. Once the technician has spot treated the lawns he will then blanket spray both lawns as sometimes a hole may have been missed. If you have Wolf spiders internally Redline Pest Control will use smoke bombs to eradicate the Wolf spiders. Now depending on the size of your home smoke bombs will vary. In saying that a standard size home will usually have between three to six smoke bombs. Once the smoke bombs have been let off you are unable to enter your premises for around four hours. We ask you to open the doors and windows for a further half an hour before entering your premises. If you suspect that you have Wolf spiders call us today for a free no obligation quote.